Soon everything will have a Bluetooth connection. Towels, bricks, your skull—everything. Don’t believe it? Just look at the Smalt. It’s a salt shaker with Bluetooth. 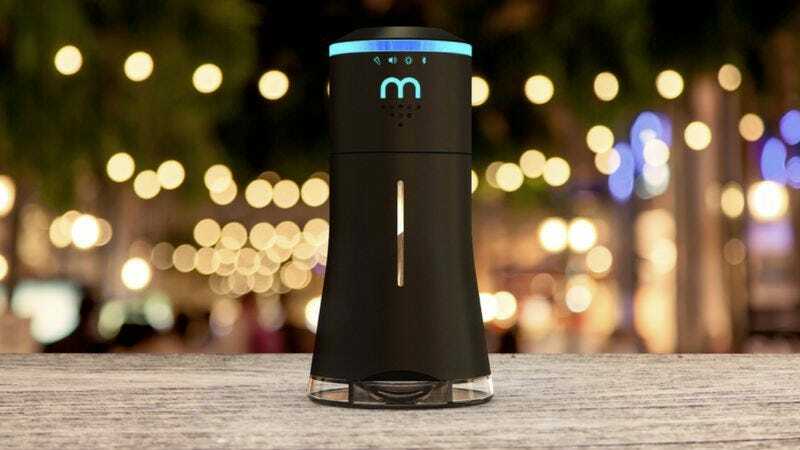 It’s a salt shaker that wirelessly plays music and is also a light. To be clear, you’re still shaking the salt out. You’re just listening to Paul McCartney and squinting through a suffused neon glow as you’re doing it. Also, it’s called Smalt, which sounds like the name of a character Josh Gad will play someday. The Smalt website markets itself as a “centerpiece” that “set[s] the right ambiance” to “add fun, flair or romance” to meals “indoors or outdoors.” One of the Smalt’s actual selling points is that it provides a “fun, interactive way to shake salt,” which causes one to ask when the process of shaking salt stopped being fun and interactive. It’s a hit online for the same people who had a field day hating the Juicero. Here’s hoping if things go sour they come up with a better defense than the Juicero CEO, at least.